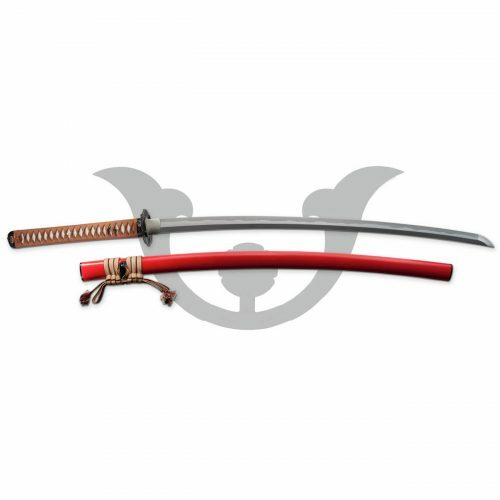 The Ten Ryu Raijin Folded Katana | MC-3056 is a Sharpened Folded Blade – Includes Samurai Sword Bag! 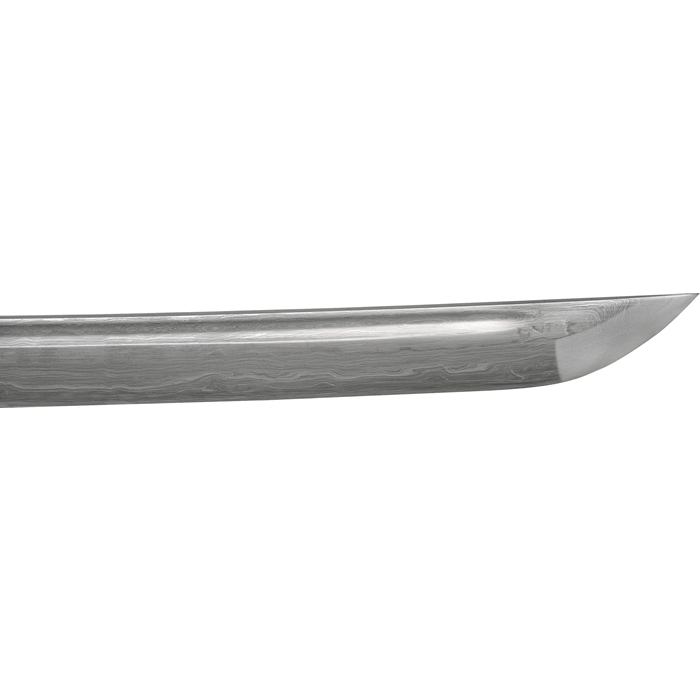 This sword from Ten Ryu is a great choice in a folded blade katana and the quality does not stop at the blade. 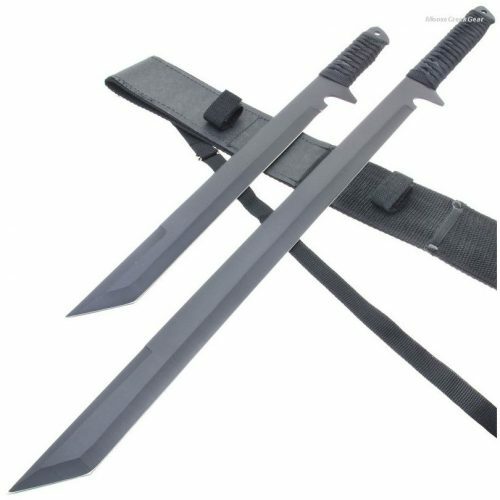 Good furniture detailing and quality materials make this a good choice for collectors or practitioners looking for an economical, durable folded practice sword. 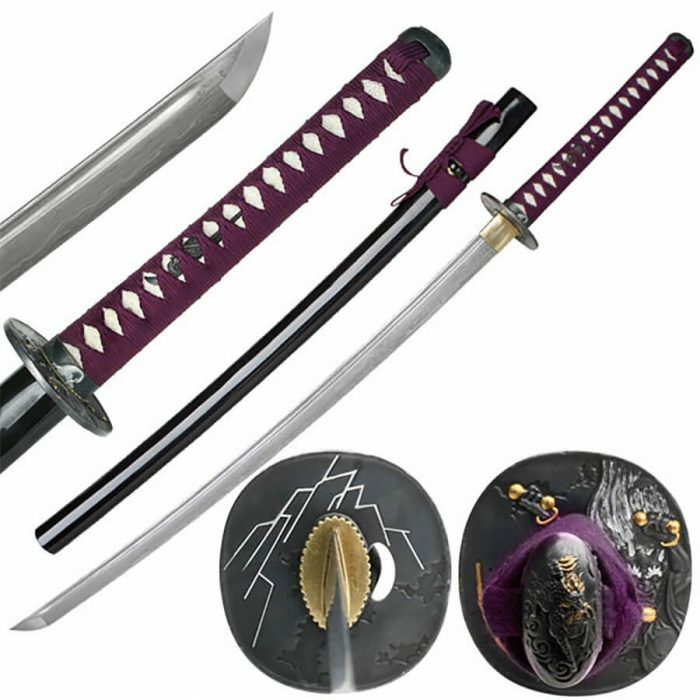 The full tang, 10 layer folded blade has a full bo hi and beautiful Hada. 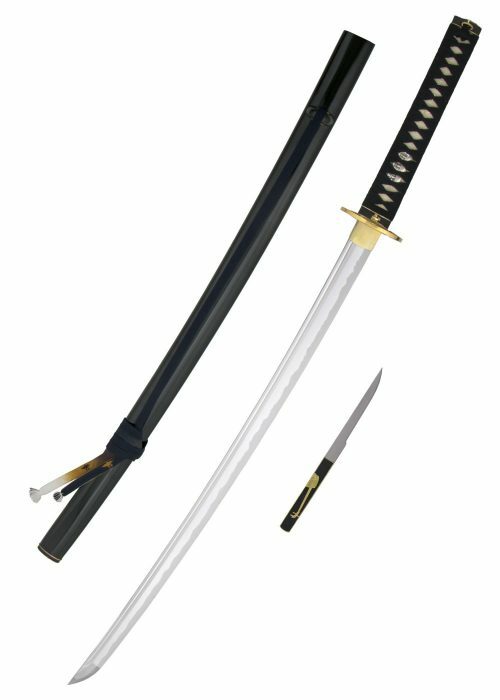 The lacquered saya is finished in rich gloss black. Full tang, double pegged katana. 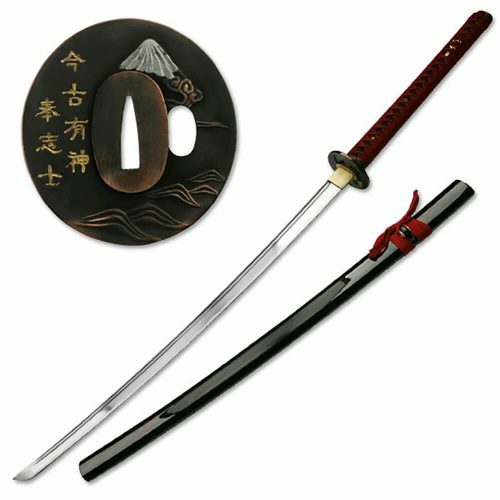 This is a sharpened battle ready Japanese sword.